Don’t you wish your office would let you do this? Lyra Thomaston hasn’t even hit puberty, yet she already reeks coolness. Seriously. 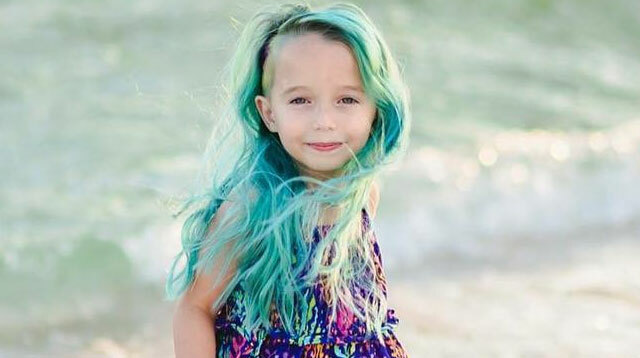 The 6-year-old calls Mary Thomaston, a Florida-based hairstylist, mom, so it’s really no surprise that Lyra’s long hair is #mermaidgoals. Just look at those varying shades of blue and green. As if that’s not jealousy-inducing enough, Lyra also has the coolest undercut. No, I’m not ashamed of the number of times I’m going to repeat the world “cool” in here. Even cooler styled in a braid!